Do you want to revitalize your smile? Are you self-conscious because of stains or discoloration? You may want to consider teeth whitening services from your dentist in Malta. As everyone ages, the food we eat, the drinks we enjoy, and the lifestyle choices we make all effect the state of our teeth enamel. Whether we want to accept it or not, the extra cup of coffee, the cigarettes, aging, and lackluster oral health can all lead to the symptoms teeth whitening can most likely remedy, but it neither starts or stops at whitening. Typically, our habits and behavior lead to the overall state of our oral health. This means what we eat, drink, smoke, or even chew on can affect the longevity of our mouth health. In some cases, our lifestyle choices can lead to staining, discoloration, or even permanent damage. Then we become self-conscious, worried, or even anxious that our smile will be a detriment to our lives whenever we feel laughter coming on. You’re not alone when it comes to wanting to take advantage of teeth whitening services. It’s one of the more popular cosmetic treatments at our dental care office in Malta next to veneers. Cigarettes and other smoked products do more than cause bad breath. In cigarettes, the chemicals cause staining on your teeth. Your enamel is porous, and it gathers particles as the smoke passes in and out of your mouth, which stains the teeth. Eventually, your enamel will erode, and you’ll need more extensive dental services to reverse the damage. Do you love your morning coffee? A lot of our office staff enjoy their morning cup of coffee, too. Nonetheless, coffee will stain teeth over time. It’s imperative, like smoking, that you make a point to care for your teeth. Coffee is acidic, and it can negatively affect your teeth, leading to stains and enamel erosion. We all age, and it means our mouths age, too. If your teeth are darkening or discoloration begins to occur, you may want to start with teeth whitening to address the color change before moving onto more extensive procedures. In many cases, age-based effects on the teeth can be remedied with a regular teeth whitening regimen. No matter how often you brush, do you seem to keep finding plaque or tartar on your teeth? You’re not alone. Many people struggle with plaque due to genetics, diet, or even lifestyle choices. 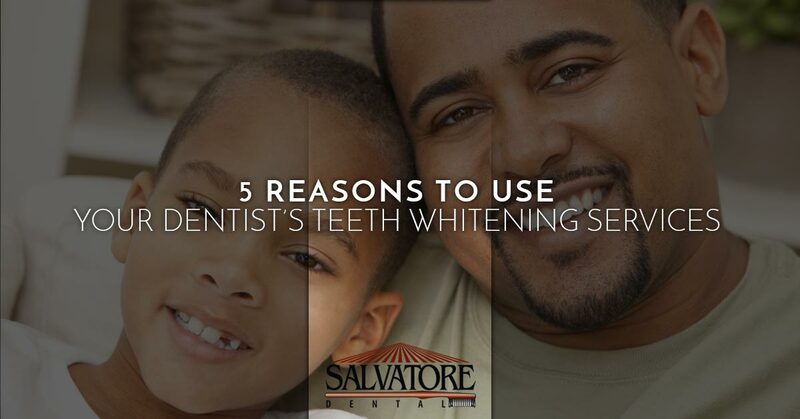 Depending on your oral health, you may benefit from teeth whitening. If you want to brighten your smile, teeth whitening may be for you. The first impression with someone who smiles tends to make a longer lasting memory, so if you’re concerned your smile doesn’t shine bright enough when you show off your teeth, give teeth whitening a try. Another reason for whitening services is your career. Those who offer a groomed, clean appearance tend to do better in any given industry. So if you’re worried your teeth are holding you back, you can give your dentist in Malta a call. Whether you have stains, discoloration, or simply want to brighten your smile, take advantage of your local dentist in Malta. Our mission is to offer comprehensive, gentle dental care for all our patients. We believe in oral health longevity through education and understanding. Whether you simply want to schedule a consultation or a teeth whitening appointment, give us a call today!